The Rev. 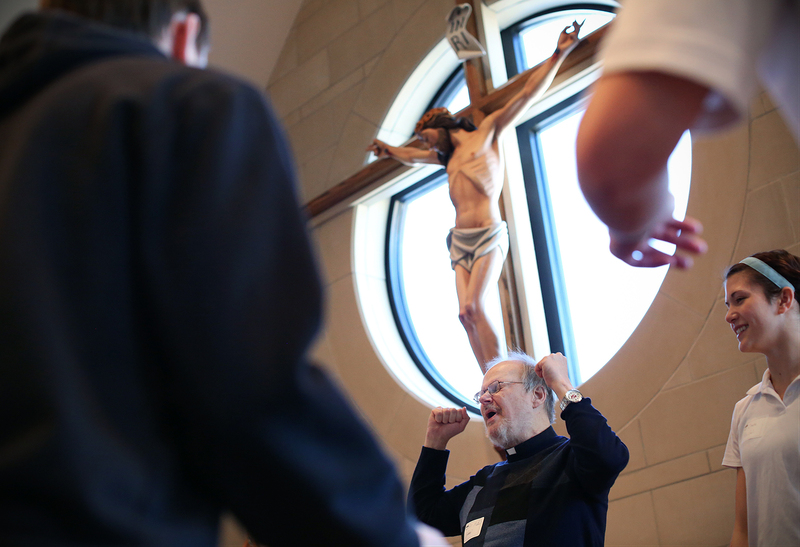 Mike Coleman leads students in worship during a retreat at Father Tolton Regional Catholic High School on Friday, March 6, 2015. The retreat brought eighth grade students from Catholic schools in mid-Missouri to explore attending Tolton.